My recent post about the small surviving section of railway track at the former Bridgend ROF depot has been very popular with many views. In this first sequel I shall attempt to follow the timelines of the locomotives that have operated at the Tremains and Brackla Hill depots. 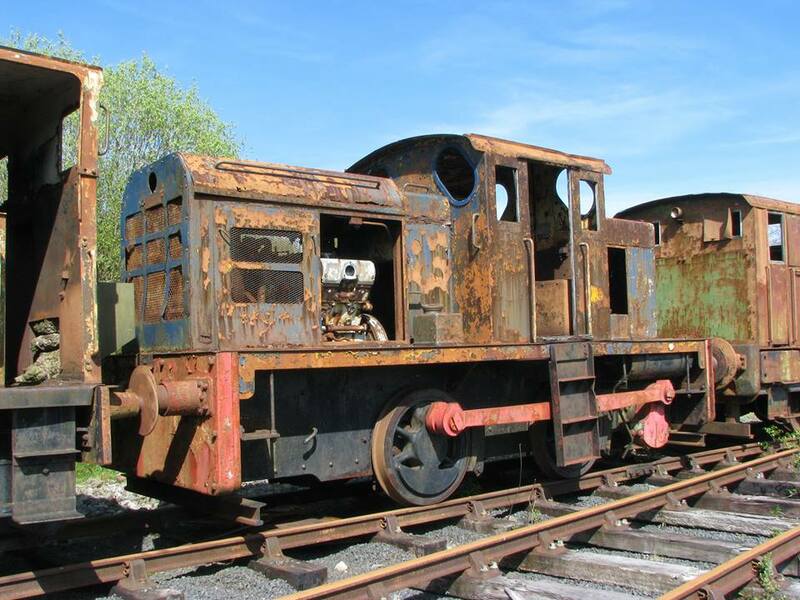 Nine 0-4-0DM (diesel mechanical) jackshaft-drive diesel locomotives were all of the same design and built by John Fowler & Co Ltd of Leeds with a mid-cab body and 150hp Fowler 4C power units, eight were supplied new, the other was previously at another ROF depot. There was also one 0-4-0ST (saddle tank) steam locomotive built by Peckett & Sons of Bristol which presumably shunted wagons in the three miles of sidings alongside the main railway line. Although well documented by the Industrial Railway Society, following the history of each locomotive does take a bit of book-juggling. 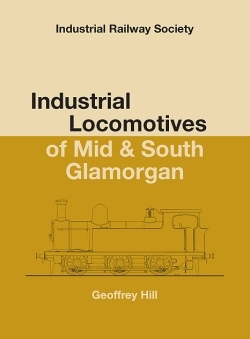 The excellent handbooks published by the society list every locomotive at a given location at any one time; it also lists where each loco worked previously and the disposal of the loco. This works well but if the previous or disposal location is in a different handbook area a lot of shuffling of books is necessary and one has to cross one’s fingers and hope you have a copy of that book. Some web-based sources have also been useful in compiling this brief history. I have included links to photographs on other sites, please respect the copyright of these images and do not download and redistribute them. 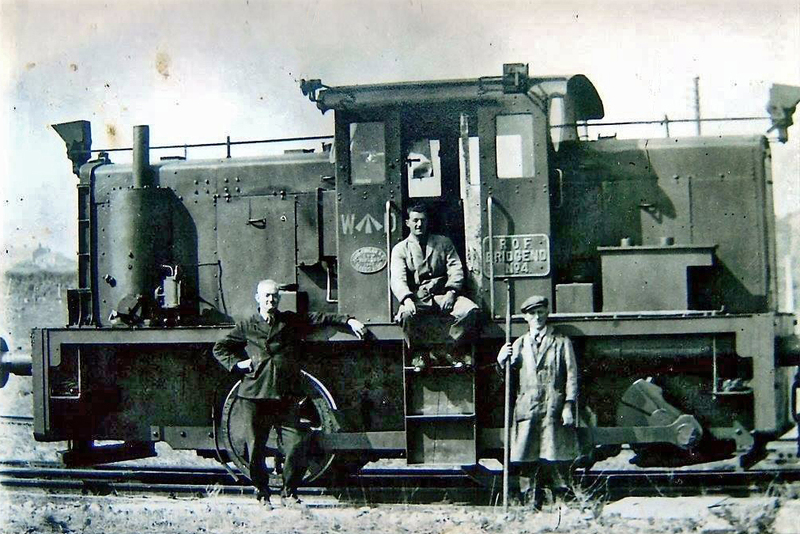 Nearly all the locomotives were identified with a plate and number reading “ROF BRIDGEND No 1” etc. I shall compile this list in the order that it is given in the IRS handbook for Mid & South Glamorgan, which is the order of acquisition. 0-4-0DM built by John Fowler & Co Ltd of Leeds dated 10th November 1939, works number 22882, delivered new and operated at the Tremains Depot. Sold on an unknown date to Shell Ltd at Stanlow Cheshire and in 1963 it was rebuilt by Fowlers and the 150hp engine was replaced with a 203hp example it was then given a new works number by Fowlers (1651608/1963). The loco passed from there circa 1970 to C C Crump, Flintshire who operated the Connah’s Quay Wagon Works. It ended its career here being cut up on site some time between 1993-95. 0-4-0DM built by John Fowler & Co Ltd of Leeds dated 21st January 1940, works number 22888, delivered new and operated at the Tremains Depot. In 1950 the locomotive returned to Fowlers, probably for refurbishment and then passed in March 1951 to Colvilles Ltd, Clyde Ironworks of Tolcross, Glasgow. where it was their “No 1”. In 1957 it went to Colvilles Mossend Engineering works, Belshill near Motherwell, still “No.1” and by now named ‘Lily of the Valley’. On 29th March 1970 the loco was transferred with ownership of the site to the British Steel Mossend Works and worked there until retirement. On 28th February 1981 the loco moved to the Ayrshire Railway Preservation Group where it remains to this day, awaiting restoration. 0-4-0DM built by John Fowler & Co Ltd of Leeds dated 26th February 1940, works number 22891, delivered new and operated at the Tremains Depot. In 1946 The Bridgend Trading Estate was established on the Former ROF Tremains site and the loco transferred ownership to them, but later in 1946 was transferred to Hirwaun Industrial Estate which was owned by the same company. In 1954 the loco went to Abelson & Co (Engineers) in Birmingham who were also machinery dealers and 22891 was acquired a year later by BR London Midland Region engineering department who operated it as ED7. Scrapped by BR in 1964. 0-4-0DM built by John Fowler & Co Ltd of Leeds dated 30th March 1940, works number 22896, delivered new and operated at the Tremains Depot. The loco was later transferred at an undisclosed date to the Ministry of Supply at Glascoed, near Usk where it became “Glascoed No 3”, it is interesting to note the IRS are classifying this loco as DMF (diesel mechanical flameproof) at this location. In April 1958 the loco is sent to BR works at Swindon for repair and from there to the Royal Arsenal at Woolwich. In 1965 she was purchased by boiler makers F Watkins of Coleford, Glos and worked there for two years before being scrapped on site in 1967. 0-4-0DM built by John Fowler & Co Ltd of Leeds dated 22nd July 1940, works number 22915. Delivered new to the Tremains Depot but is presumed to have been based at and used at the Brackla Hill Depot. When the ROF Brackla Hill site was transferred to the Ministry of Works in 1946 the loco remained there and was used until closure of the site in 1962. She then went to A King & Sons (Metal Merchants), Norwich, a scrap yard with sidings off the main line and was used for shunting until scrapped on site in 1972. Photograph of ROF BRIDGEND No 2 is copyright of, and courtesy of Christopher Cairns who took it very recently especially for this blog and who also filled in details of my research; many thanks Chris. Thanks also to Gerald Dodd for supplying me with a copy of ROF BRIDGEND No 4 at the Tremains depot. To be continued with the next five locomotives . . . Thanks for the photo Gerald, it was very useful. Rof No4 has my gramps leaning against it. William Lewis,Penyfai. That’s interesting Charles, any idea of the others? Do you know of any accidents known to have happened at the Brackla site in October 1954? I’ve tried googling with no luck. Have just discovered that my Great Grandfather died there. Sorry Teresa, that’s beyond my limited knowledge of the site, my main interest is the railway system.